You can admit it, that whole “I’m moving to Buenos Aires to learn Spanish” ruse may work on your parents (who are shelling out the dough for your college education), and your friends back home, but we all know your real reasons, and they likely include food, culture, nightlife, Patagonia-excursions, siestas, and maybe even a few amorous adventures. Nevertheless, you’re there, and you need to improve (or even begin) those Spanish language skills, and dancing at 4 a.m. at a mega-club ain’t going to do it. 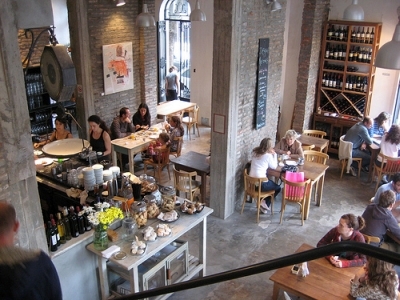 For some help, Lonely Planet put together these five ways you can learn Spanish in Buenos Aires. They include the more traditional classroom settings — they highlight Ibero Spanish School — where classroom sizes tend to be in the 3 – 9 range, and 20 hours a week. Of course, private lessons can be obtained, just be prepared to shell out the 50-60 pesos an hour it’s going to take with services like Ñ de Español. But why not combine that whole meeting cute Argentinians and learning all in one? Even if you have no ulterior motives, Conversation Exchange allows you to practice Spanish in return for just conversing in return in your native tongue. It’s free and a win-win situation. Or try Spanglish, a service that basically drops all pretenses and combines random locals and Spanish learners over drinks in five-minute increments. Come prepared: learn how to say “Can I have your number?” in advance.